Ladies Of Real Estate provides real estate marketing tools and graphic design to 7,000+ paid members. Below is their MemberSpace case study which contains website screenshots of their membership setup along with a short founder interview. The Ladies Of Real Estate home page uses quality graphic design combined with videos, testimonials, and examples of successful customers to strongly state their case why the visitor should join. They have sign up calls-to-action throughout the page which usually helps increase conversion rates. The Ladies Of Real Estate use a scrolling home page to also serve as their sales page. They have compelling copywriting which speaks to their audience's pain points along with a breakdown of how much money the visitor saves by using their membership of bundled services instead of buying one-offs somewhere else. After paying to become a member, people are brought to this dashboard page The Ladies Of Real Estate designed which has big navigation buttons to make viewing various other member pages simple. This page does a great job of organizing a large volume of pages into an easy to follow menu of sub pages. Here is one of many member pages The Ladies Of Real Estate provide for their members. This page gives very clear instructions to members at the top of the page so they can get the most use out of it and value from the membership they are paying for (which lowers the chance they will cancel). Ladies of Real Estate came to life after an impromptu career change into graphic design after a couple years in real estate. When I got into real estate, I hit the ground running, trying to build a beautiful brand that would help sell me. 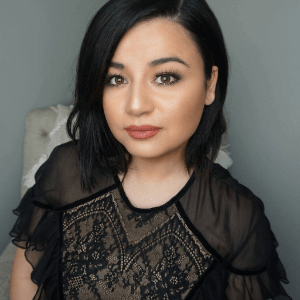 In building my personal brand, I was constantly reached out to by other agents to pay me to create similar content for them and to teach them the tricks to social media, that were landing me hundreds of leads and tons of clients. After so many requests, I decided to open up a graphic design/web design service. One of the biggest issues I ran into with the company was cost. I had to charge a price that gave me financial security, but agents were limited on funds and couldn't afford my services. After exploring sites like Etsy, Canva.com, etc. I decided to provide one platform to offer graphic templates and social media coaching to our agents for one low monthly cost. Since women in real estate make up to 65%, yet they struggle the most, it made sense to build this community and business around ladies. First and foremost, our goal is to stay up to date on modern marketing and graphic design to ensure our clients get a stunning brand that they are then taught how to go out and utilize in their markets. Our agents sign up, and they can discover a large collection of content based on their needs. Graphic designs for personal branding, marketing material for their listings, coaching on how to get more business online (and off) and so much more. How do you continue to build your membership? We built a HUGE community in a Facebook group to build the Ladies of Real Estate brand. Since there was nothing like it, in a short year, it exploded to over 65,000 members and still growing. We have given a ton of freebies away and have really built a strong level of trust with our community prior to launching our membership. We showcase new site features into the group that continue to increase member sign ups. How do you keep cancellations down? There are two main reasons our clients stick around. One, the community. 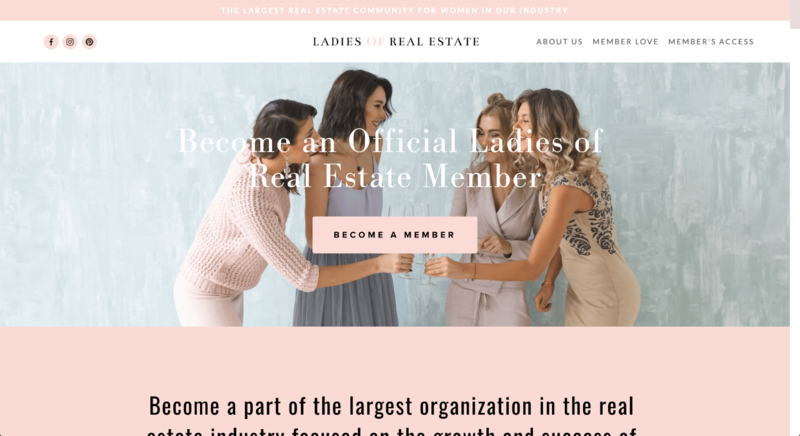 Ladies of Real Estate has become much more than just a service, but a community of women dedicated in helping each other succeed in their entrepreneurial journey in real estate. Having that community organization really helps our ladies feel like they are a part of something bigger than just a $20/month program. Our second reason for keeping members is the generation of new content. Our membership is constantly evolving, we add new content to the site each month, and we go out of our way to figure out what works to get new business, so they don't have to deal with the trial and errors. Instead they implement our tested methods and find success. These success stories that are shared by word of mouth, both online and off, have really brought a large amount of ladies to explore our program. Ready to turn your audience into a membership business?